Cuckoo for Coconuts: YOU SANK MY BATTLESHIP! What to say? 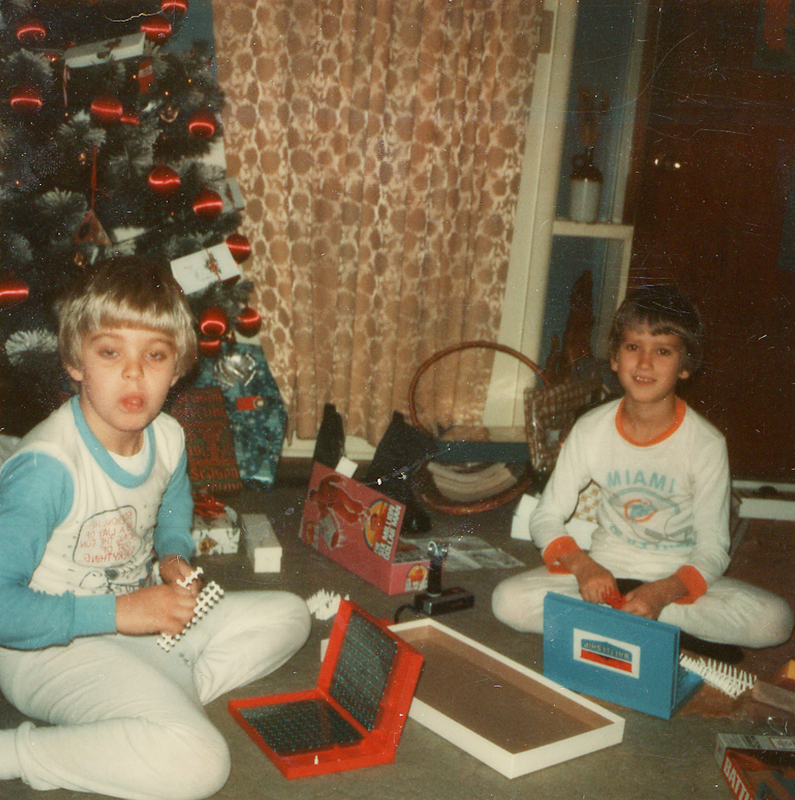 This was at my Grandparents house setting up to play Battleship on Christmas morning. It was in Indiana somewhere around 1976. 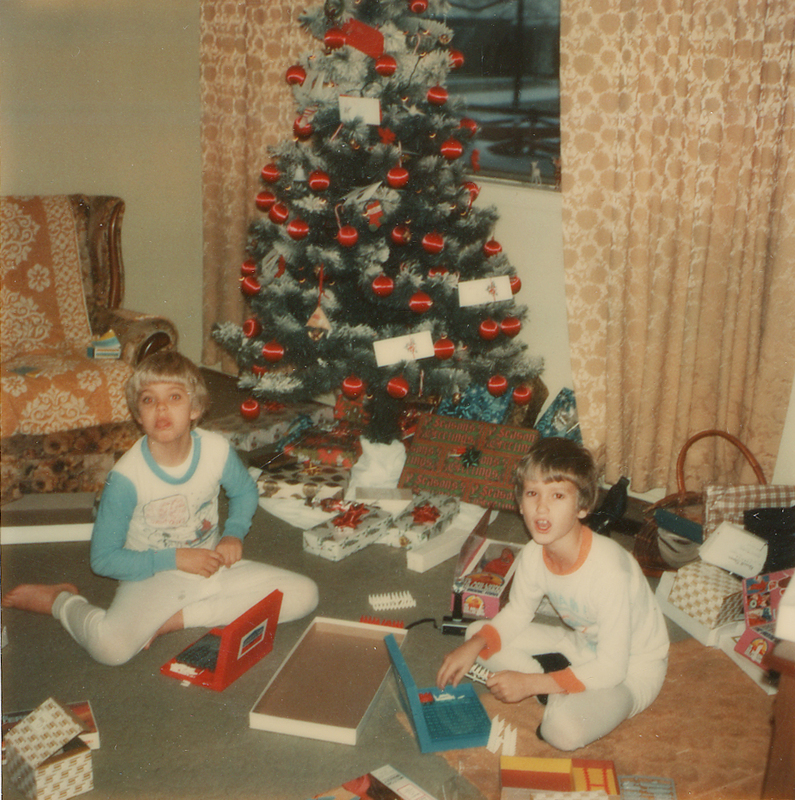 Also notice the Six Million Dollar Man doll and the instamatic camera with the flash bulb extender. We also got really cool boots that year, which you can see in the background... I LOVED THOSE BOOTS. My brother is his ever charming self with the tounge out. I seem to be wearing my Miami Dolphins PJ's... odd that I loved them so much and hate sports. Truth be told it was all about the color combo of turquoise and orange that I was attracted to. 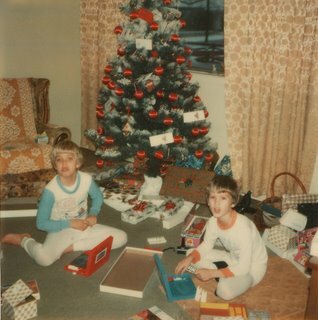 The presents were from mom... the money cards on the tree were from grandma... who NEVER SHOPPED!. It was just easier to give us money. As for the tree, I think we had that one for about 10 years. I remember that each branch had a different colored dot on the stem so you knew which layer it went on. And the red satin balls!!!! They NEVER changed. That's tradition I guess.